Solutions can file all of your monthly/quarterly/annual reports. 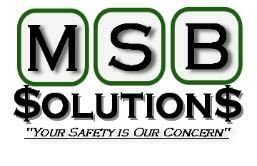 In short, we can solve any problems your MSB may have. For a complete list of news articles please visit the press room.